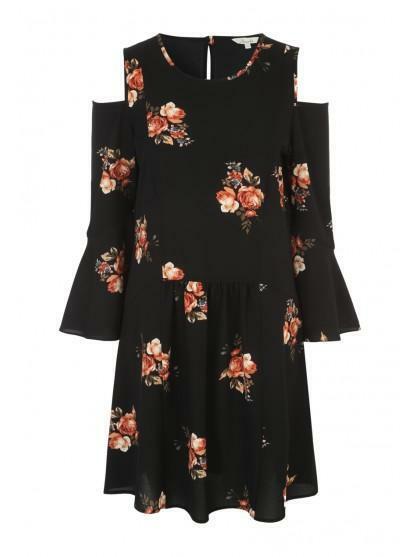 This women's black cold shoulder dress is a super stylish choice for the new season. 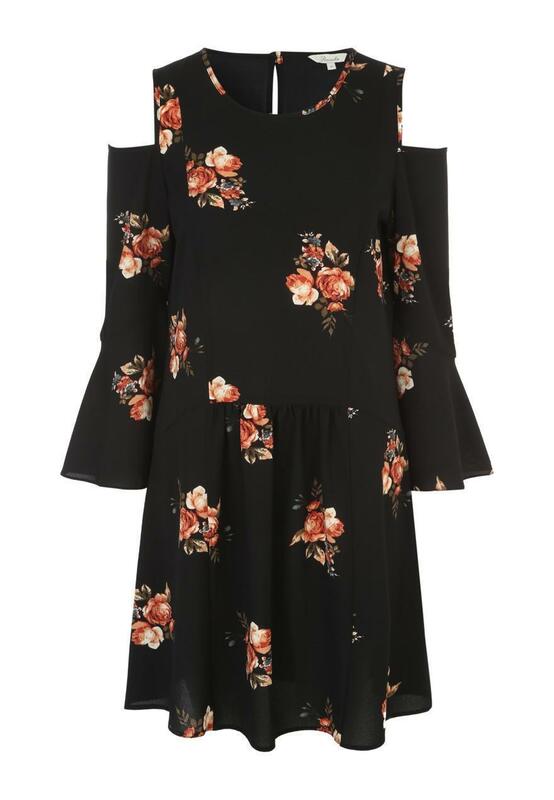 With a dropped waistline, cold shoulder detailing and on trend floral print, this is definitely a style staple to add to your collection! Didn't suit me, so returned this item. Saw this on the model but should have known better - models are all super tall and I'm only 5ft 3! That said it's a lovely dress and a steal at the price but definitely for the taller ladies- it drowned me. Lovely dress feels really nice on and fits really well because of how it's been made. Can't wait to wear it again! Goods never arrived on time 10 days plus. Will return when received as too late for the occasion for which I ordered it!